The Warrior mechanical box mod is a dual 18650 device made of wood and aluminum alloy. It has an adjustable copper 510 pin to keep everything flush and a side mounted fire button. On the bottom there are 2 caps for the batteries and it looks like you’ll need a coin or something similar to remove them. It’s not ideal but it’s not terrible either. 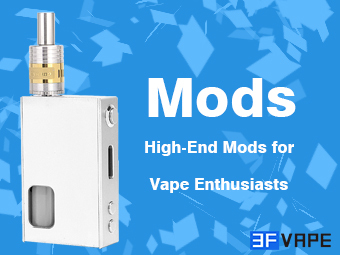 This is a pretty great looking mod and is available in several different colors.